Born in Rupert’s Land where his father, Thomas Bunn, was in the service of the Hudson’s Bay Company. His mother was the daughter of John McNab, engineer, in charge of a Company post on the Bay. A bright lad, he was sent to school in Edinburgh, and he then attended medical school at the University of Edinburgh for two years. In 1819 he returned to Moose Factory as a surgeon, unhappy that he had not completed his medical studies. In 1824 he moved to the Red River Settlement, establishing himself at Middlechurch and opening a private medical practice. He married Catherine Thomas, a member of the influential Thomas family. They had three sons, including Thomas Bunn. In 1831-32 he attended the University of Edinburgh long enough to become a licentiate of the Royal College of Surgeons. He returned to practise at Middlechurch in 1832. After 1835 he served as a member of the Council of Assiniboia. He received an annual salary from this council in recompense for his medical work with the poor of the settlement. 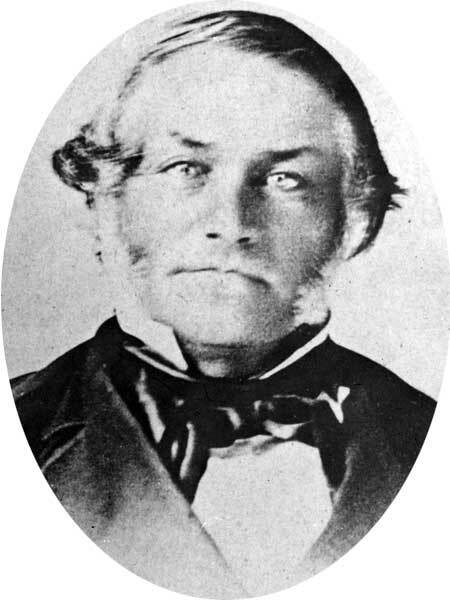 Bunn supported orderly administration and the development of local infrastructure, especially roads, and he was regarded by Governor Eden Colvile as “the most sensible man in the Settlement.” He served in a number of administrative and legal positions, including that of recorder of Rupert’s Land from 1858 until his death. Bunn was always proud of his mixed-blood heritage and of the progress of Red River. In 1847 he won a prize for the best cheese in the settlement. He was a prominent Anglican layman. Bunn died at Upper Fort Garry on 31 May 1861 and was buried in St. John’s Cemetery. There are papers at the Archives of Manitoba. Four Recorders of Rupert’s Land by Roy St. George Stubbs (1967). John Bunn, Dictionary of Canadian Biography IX, 102-3.